session. Clips are listed on the Clips action tab. See figure 66. • copy clips to other computers. How to check folders for clips is explained in 7.2. • view clips on computers not running Multi software, using Clip Player. Fig. 66. 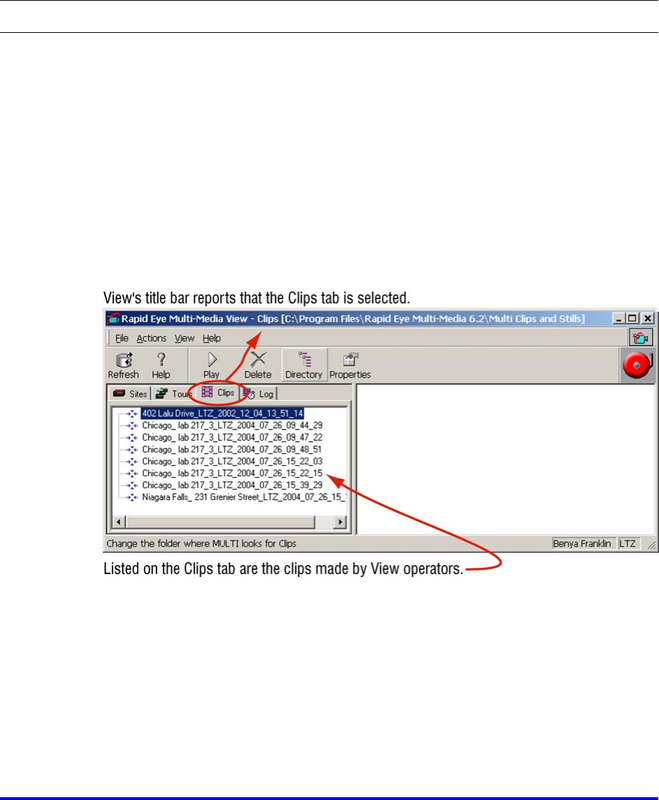 The Clips action tab in View software.